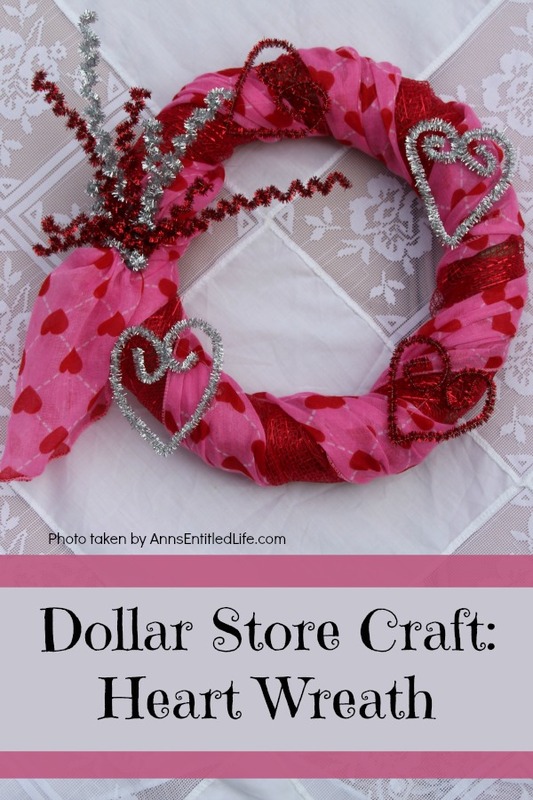 This simple to make heart wreath is made using dollar store finds. 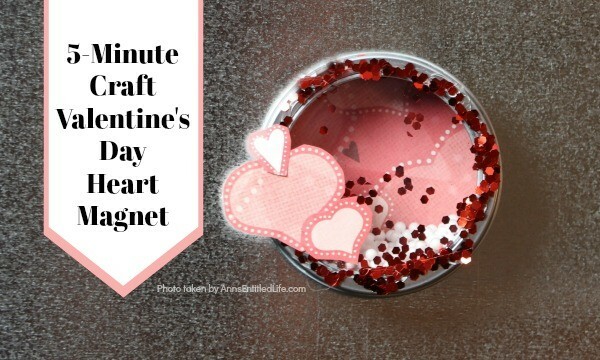 It comes together in under 15 minutes, and it a wonderful, inexpensive heart décor. 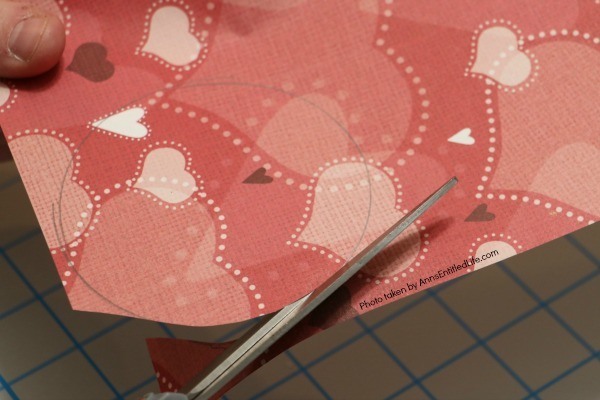 Perfect for Valentine’s Day, Sweetest Day, or any occasion where heart décor is wanted. 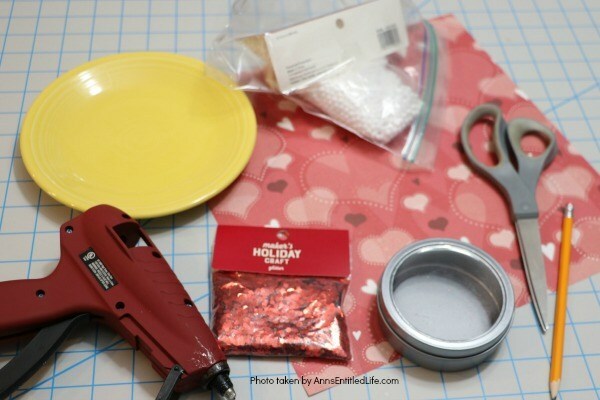 Crafts and decor do not need to be expensive to be cute. 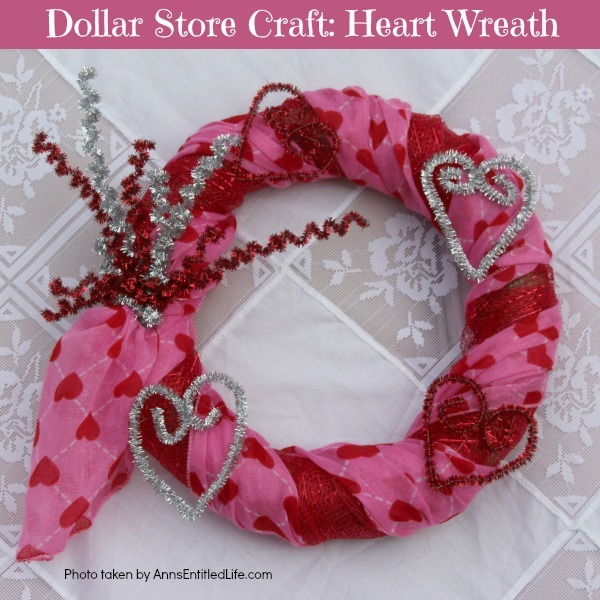 This heart wreath is made with items found at the local dollar store! 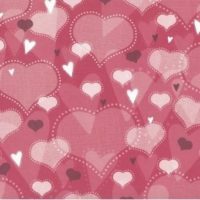 Especially for a holiday like Valentine’s day – you want a little bit, but do not want to spend a fortune. 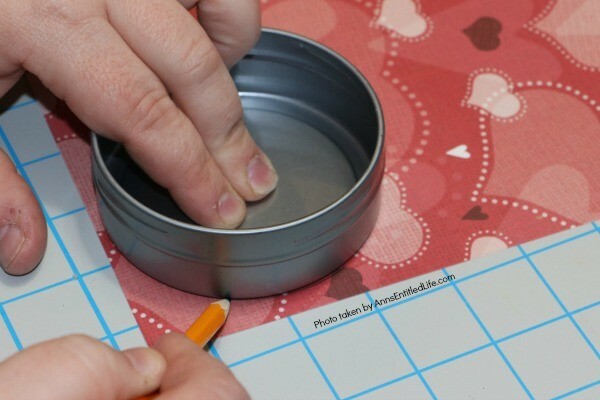 This could easily be upgraded with nicer products from your local Michaels, JoAnn or Hobby Lobby too. • This is a fast craft. Everything came together in about 15 minutes. 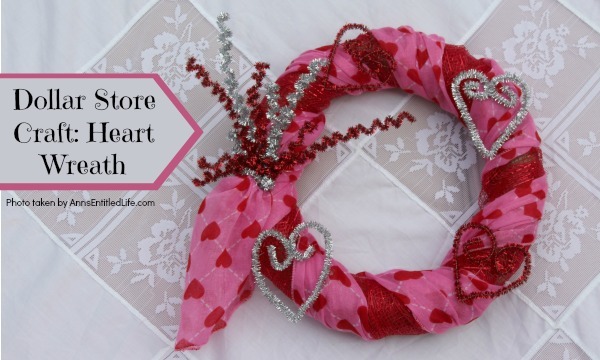 I swear it took longer to gather the items used on this heart wreath than it did to make it. 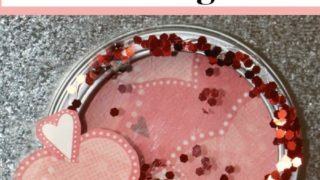 • This is a great craft for a kid’s door, or for a teacher to hang in the classroom. 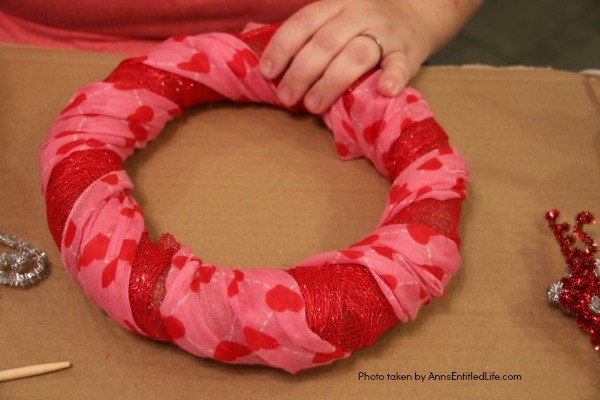 • This can easily be adjusted to a summer wreath with a different scarf (say in yellow or blue) and different pipe cleaners (swap the red for yellow!). 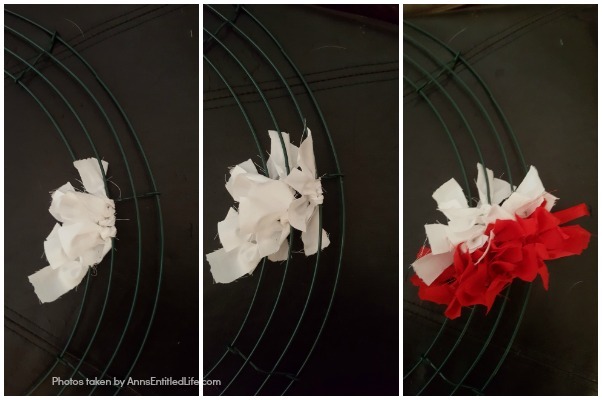 • Dollar Store Craft: Paper Bag Flower Arrangement – adorable! 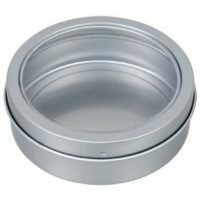 Can be customized to match any decor, for any season. 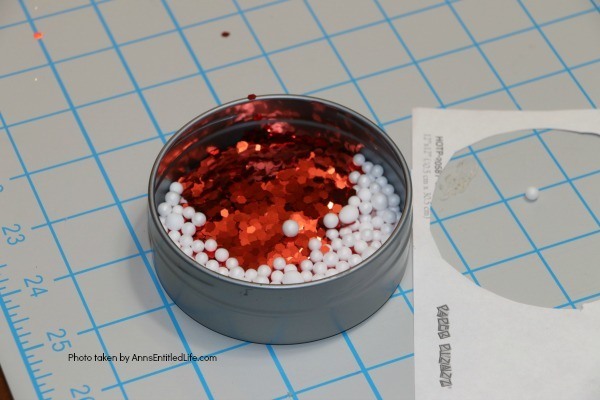 • Dollar Store Craft: Fall Centerpiece – a fun, easy to make fall craft you can make with basics found at your local dollar store. This comes together in about 45 minutes. 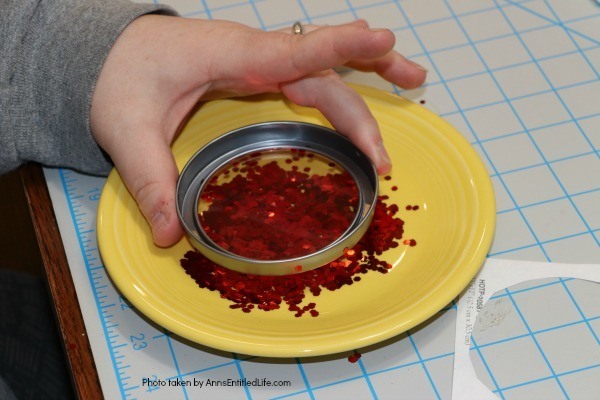 • Dollar Store Craft: Lighted Thanksgiving Centerpiece – this is lovely. No one would ever know the parts come from a dollar store! 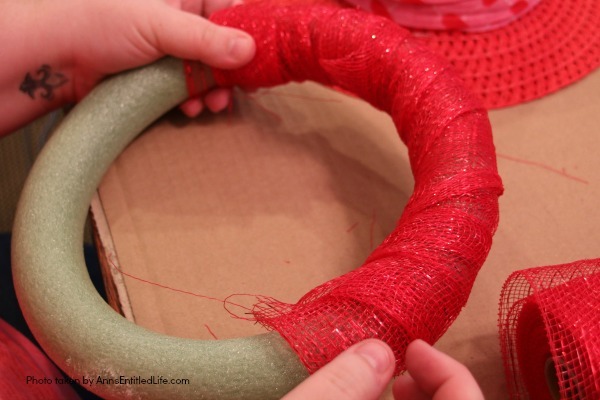 • Wrap the wreath form in mesh. 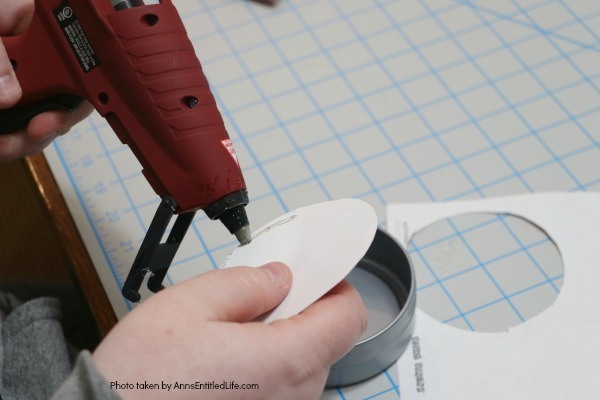 • Secure with straight pins and hot glue. • Wrap the scarf around the wreath. 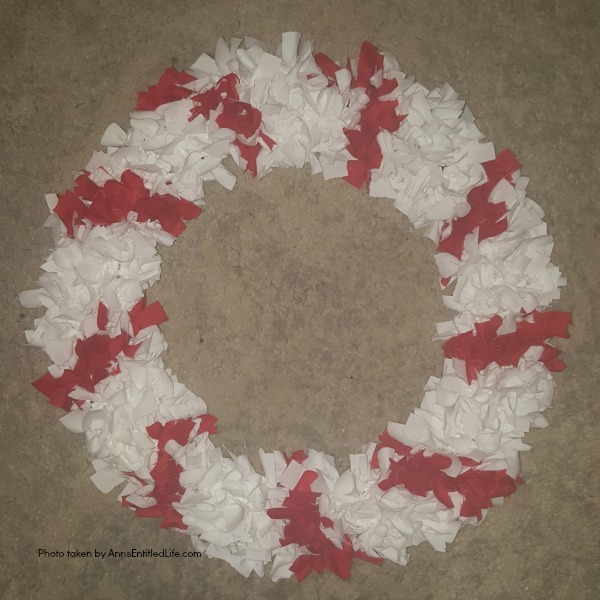 Leave some room between each turn around the wreath form so you can see the underlying red mesh. Secure with straight pins. Allow the remains to dangle as a tail. 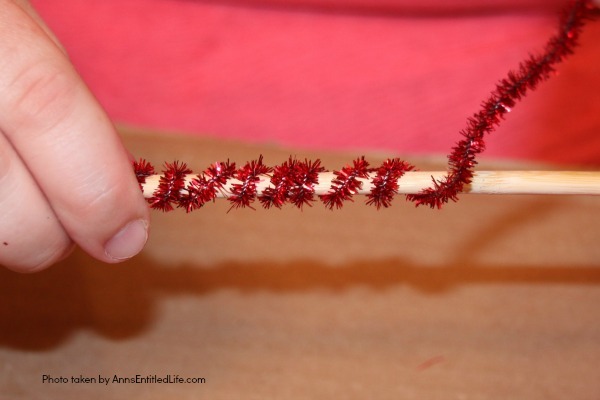 • Wrap your pipe cleaners around a chopstick or a pencil to form spirals.This wreath used 2 silver pipe cleaners and 4 red pipe cleaners. • Twist together to form a bunch. 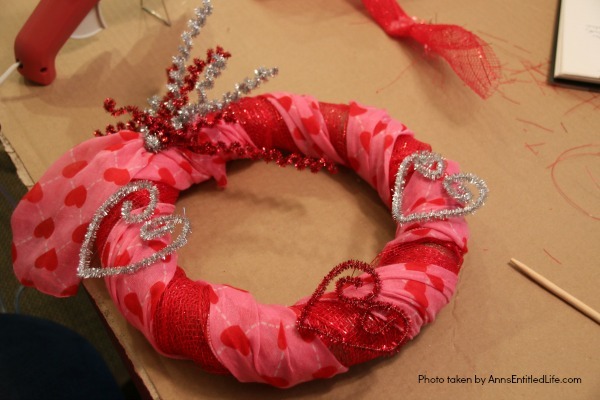 • Attach to wreath with an additional pipe cleaner, hot glue in place. 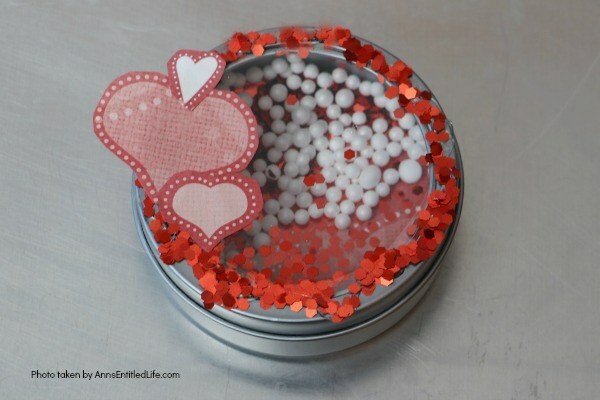 • Hot glue pipe cleaner hearts in place. • Note: I did not attach a ribbon to hang this, I just hooked it over a door hanger. 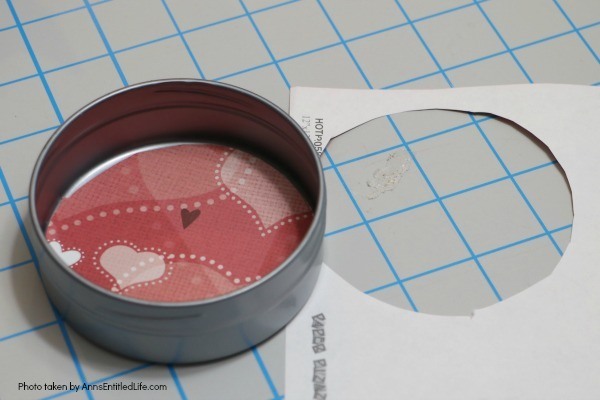 If you would like, you can add a ribbon to hang. • This is what mine ended up looking like. 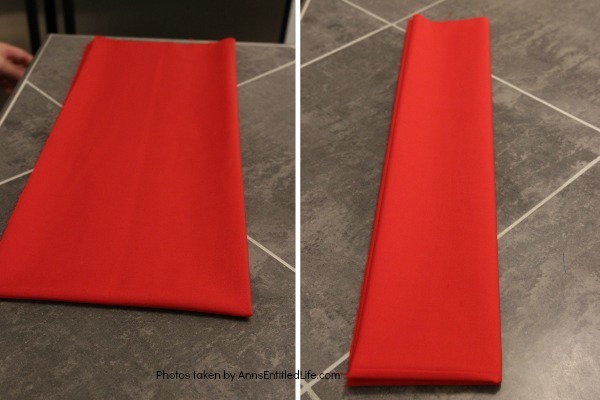 Yours may be different depending on the colors you choose, the overlay (scarf, ribbons), etc. Highly customizable! 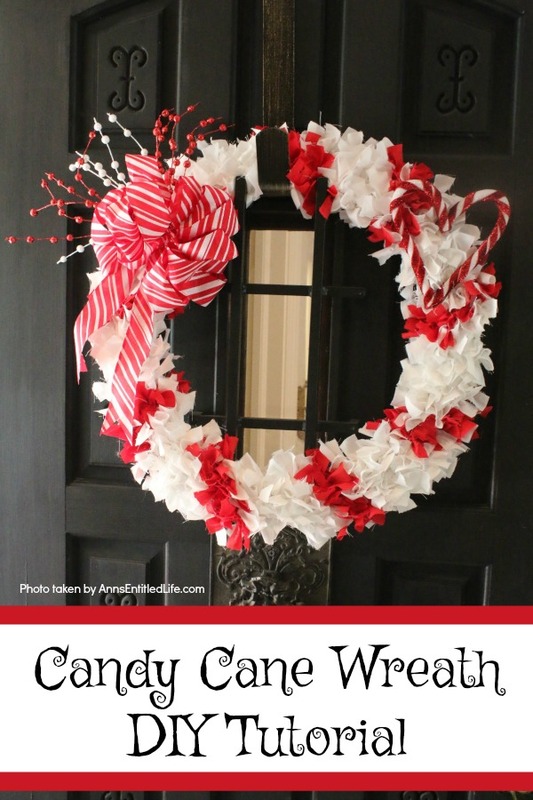 Make your own no-sew Candy Cane wreath using these easy step by step instructions. 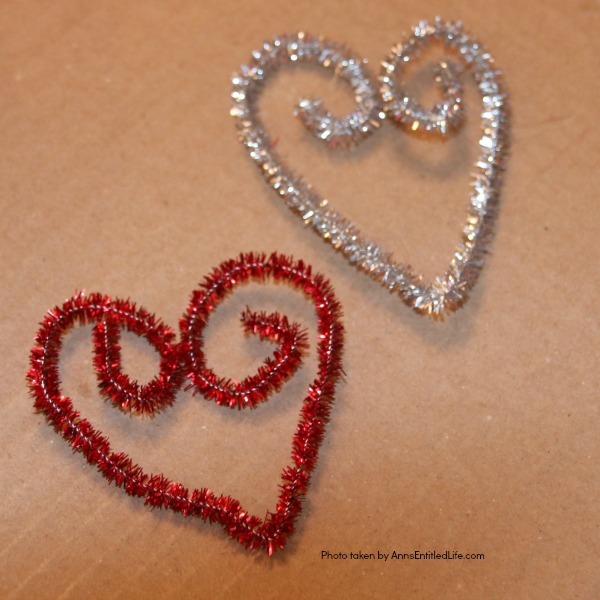 This cute holiday decor is perfect for Christmas, Valentine’s Day, or any day! 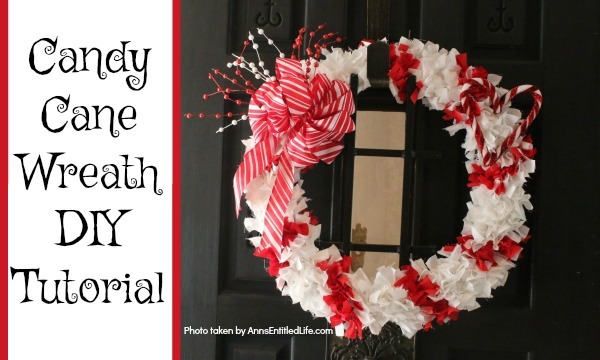 Simple and inexpensive to make, this easy Candy Cane Wreath DIY Tutorial will show you how to add a marvelous touch of whimsy to your holiday decor. • You do not need to add a bow or anything else for this to be super cute on its own. 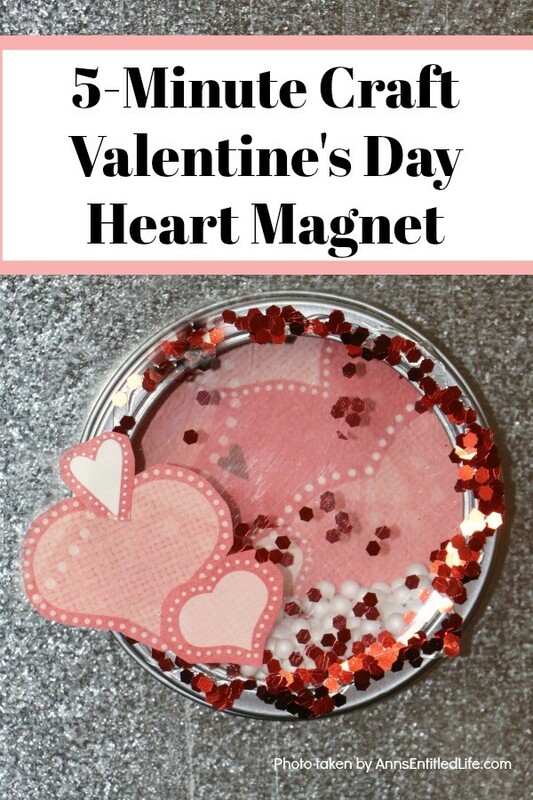 • The heart added at the end for embellishment had me thinking that this could make a wonderful Valentine’s Day wreath too! • There is no need to press or steam your fabric unless it is so wrinkled it is prohibiting you from being able to cut a straight line. 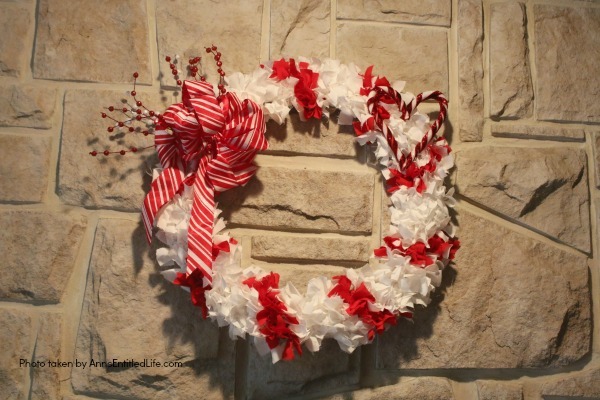 Irregularity adds to the charm of this wreath! 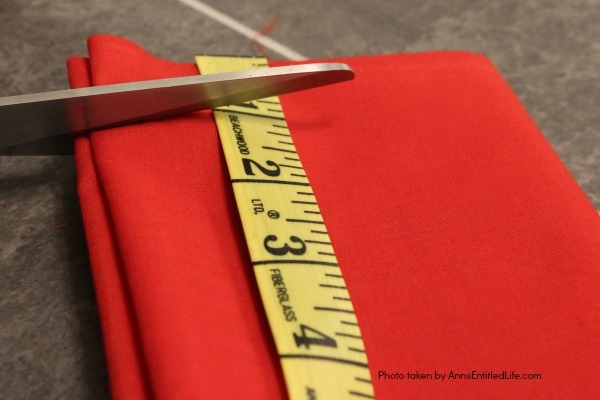 • Lay your fabric folded in half onto a flat surface. • Fold in half widthwise. 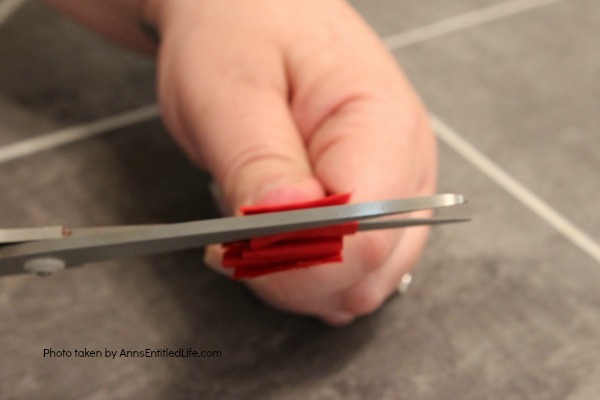 • Fold in half lengthwise. 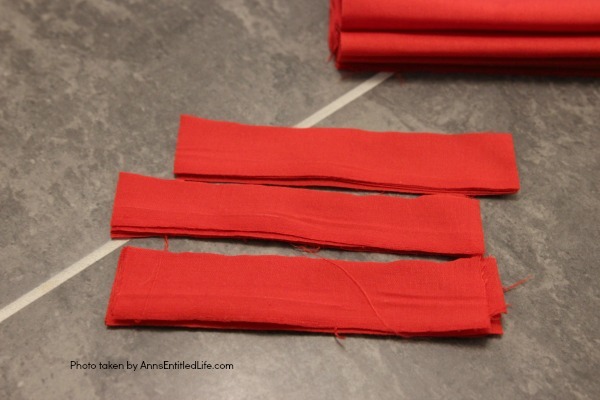 • Now fold in half widthwise. 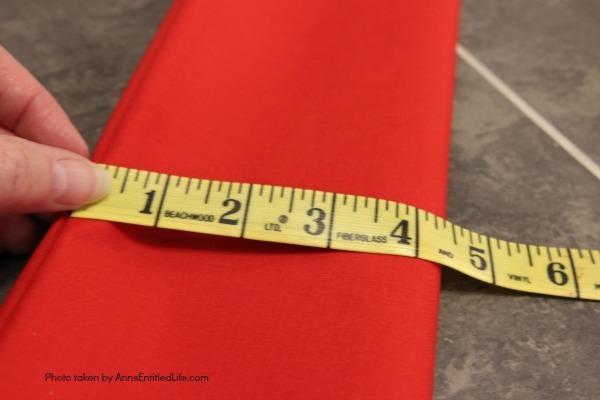 • Lay the measuring tape across your material horizontal to the folds (see photo above). 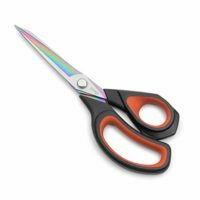 • Now cut across the places where the fold is (see photo above). 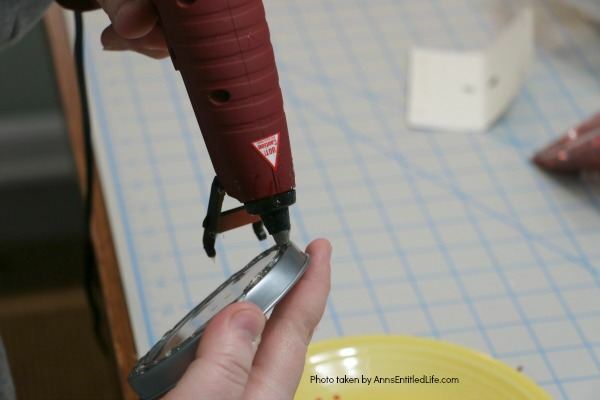 • You will end up with a 1″ x (approximately) 4½” to 5″ length (it depends on how wide your material is). 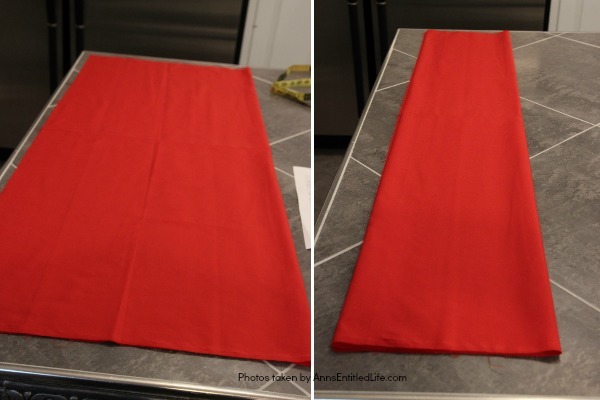 • Continue to do this for all the white and red fabric. 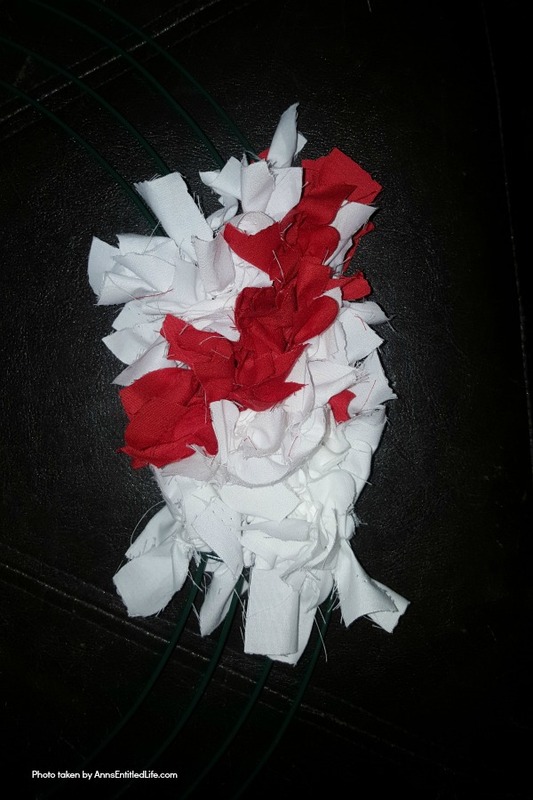 • Begin to tie the fabric onto the wreath form. Left over right and under, right over left and under. • Working section by section, from left to right. • You may have to adjust your counts accordingly. We have all sorts of helpers! This is Lucy, my niece’s dog. • Continue until you have filled your wreath. 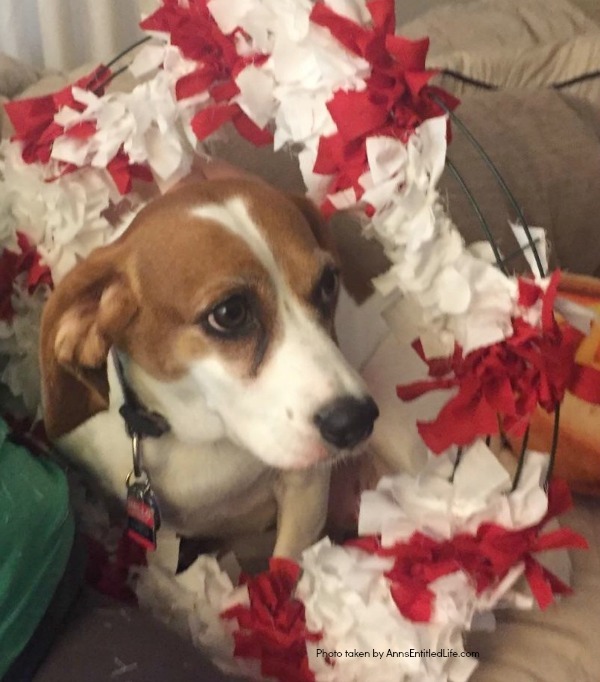 Make sure you fluff as you go so you can tell the wreath is filled in. 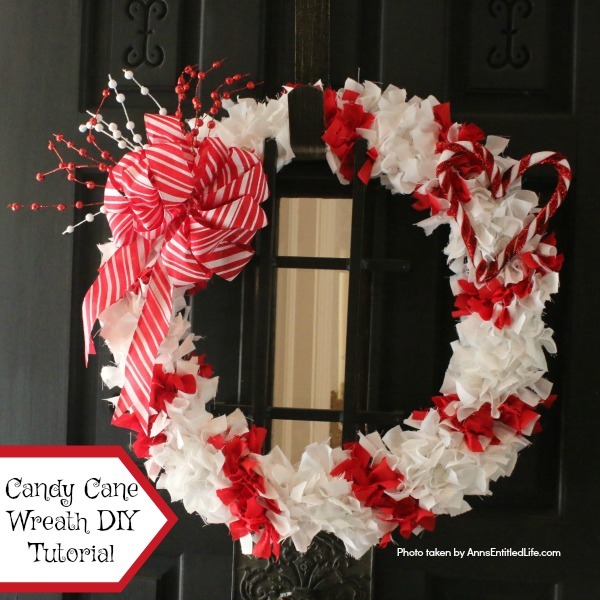 • When finished, make sure all of the ends are tucked into the front of the wreath, and the knots are facing behind the wreath. 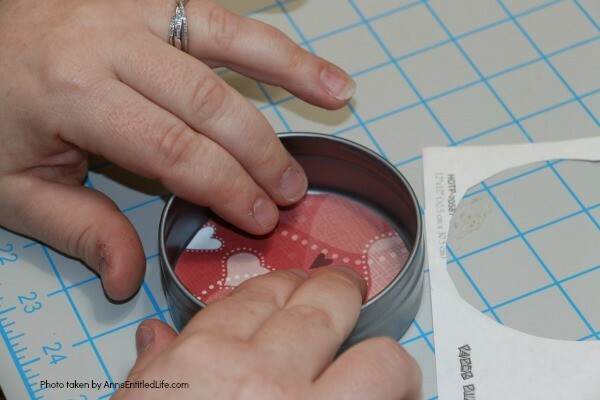 Fluff the fabric with your fingers. 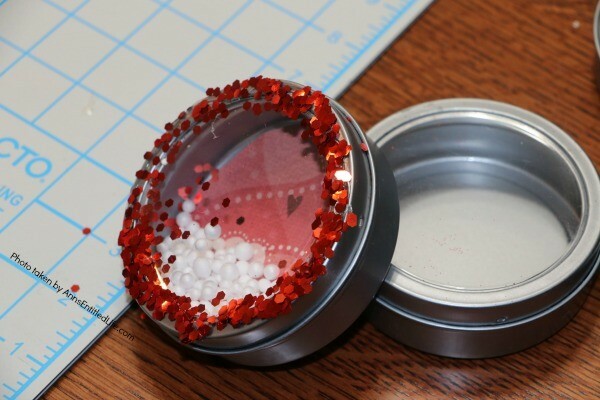 • Attach any bows or embellishments (using hot glue or wire depending on what you decided to attach).